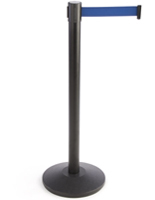 This stanchion with gray printed belt is available with single or double sided application. 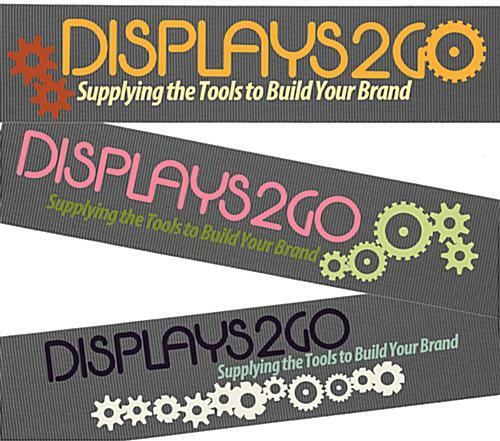 Graphics and logos are applied using a 3 color silkscreen process. 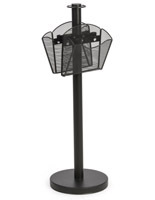 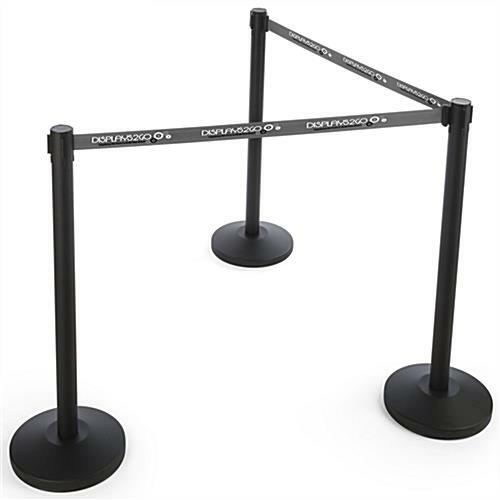 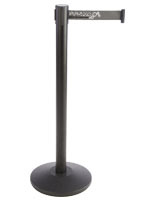 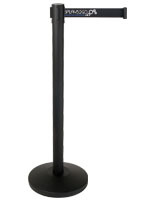 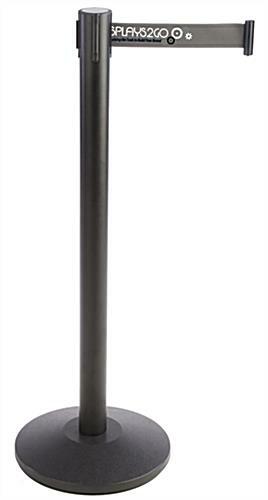 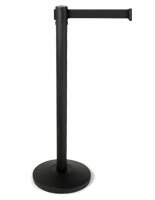 Ideal for high traffic areas that require organization, this crowd control custom stanchion is designed with a weighted black base for stability. 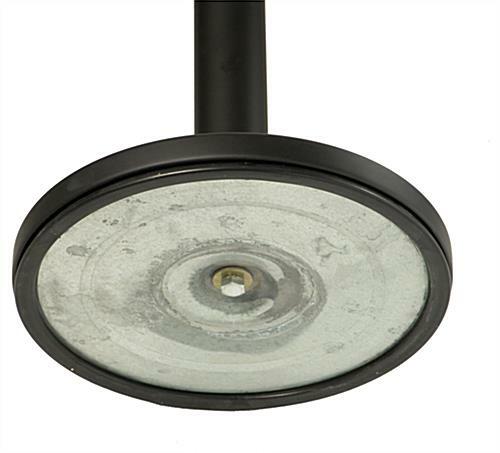 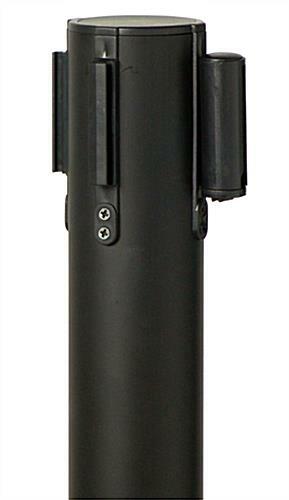 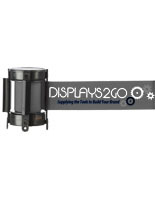 While maintaining structure, these posts also provide a graphic display with each retractable band. 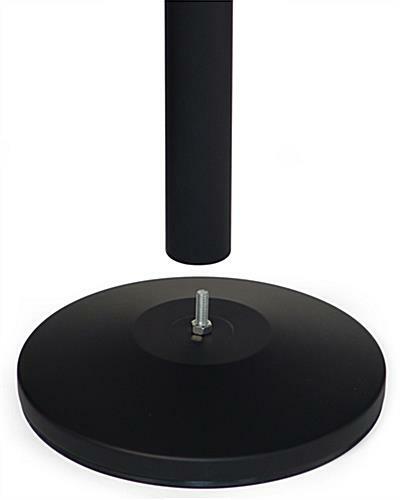 Assembly is quick by simply screwing the pole into the base and affixing the plastic cassette to the top. 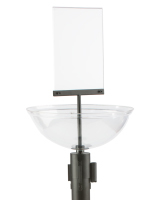 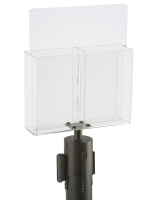 Configurations are limitless with the 4-way adaptor with a retractable band measuring over 6’ in length, allowing for a multitude of arrangements to best suit the setting. 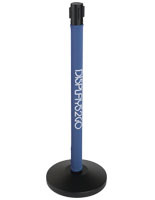 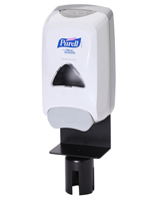 Ideal for crowd control, this stanchion also provides a means to display custom logos and graphics while fulfilling ground maintenance purposes. 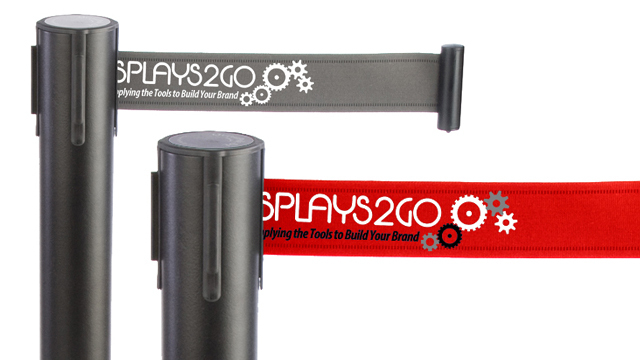 Please Note: There is a minimum order of 20 per custom design. 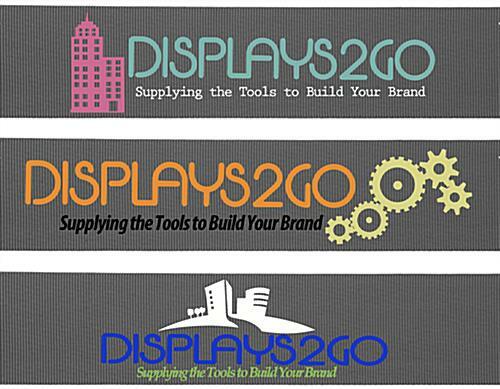 Each individual design submitted must be for a run of at least 20 units of the same item.